Christmas is just around the corner and I bet everybody is looking for recipes to impress their loved ones. 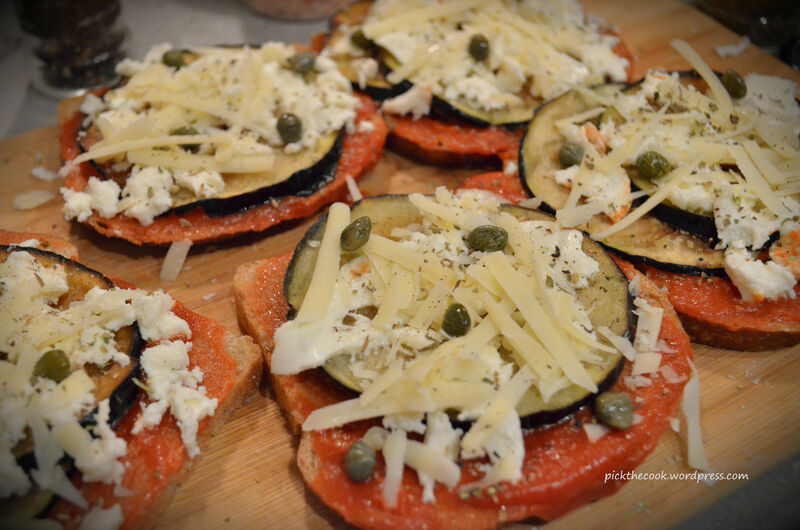 As I find appetizers the trickiest, I’ve been trying to come up with some new visuall appeling but also tasty recipes. 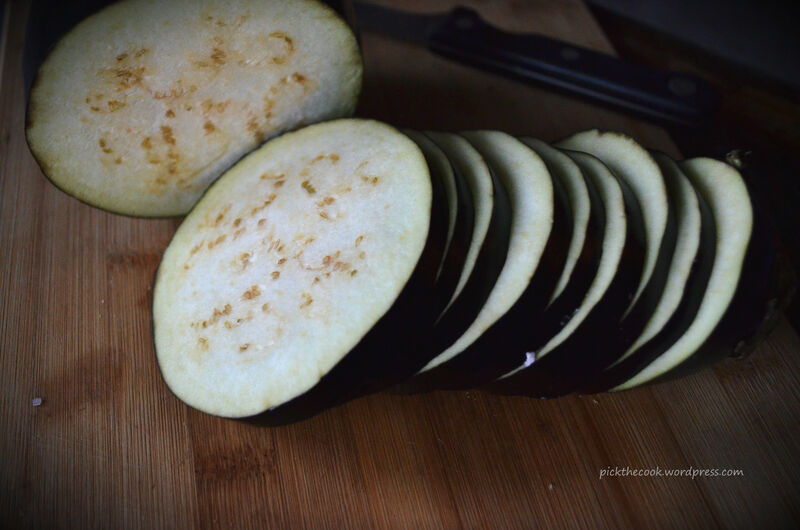 Cut the eggplant in thin slices, cover them with flour and fry it in sunflower/canola oil. Make sure you don’t bring the heat too high, it burns the oil too fast. 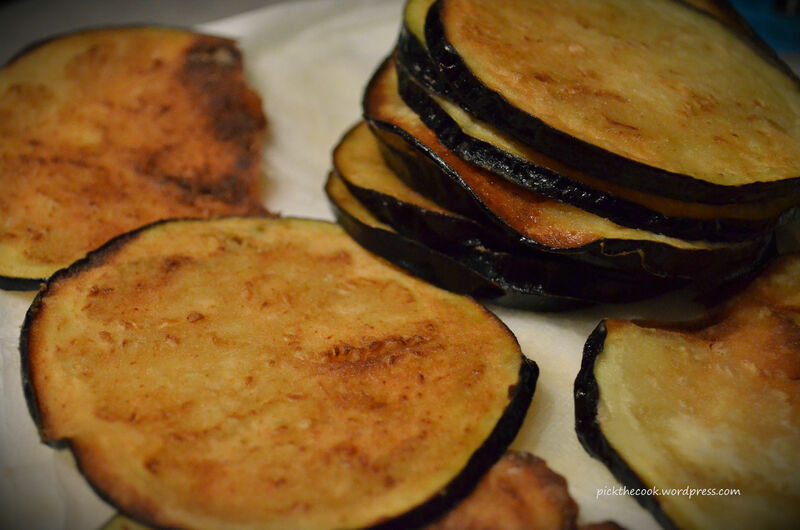 Cook them for 3 -4 minutes on each side (until golden). 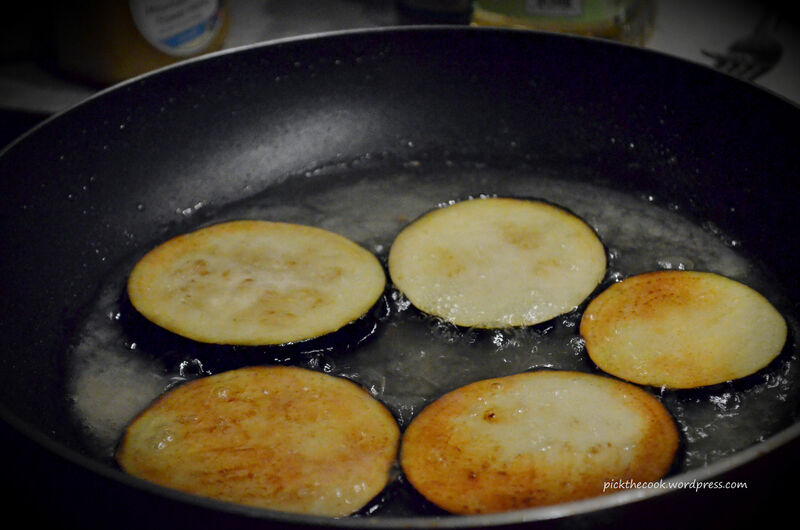 Remove the eggplant slices from the frying pan and place them on a paper towel to remove all excess oil from them. 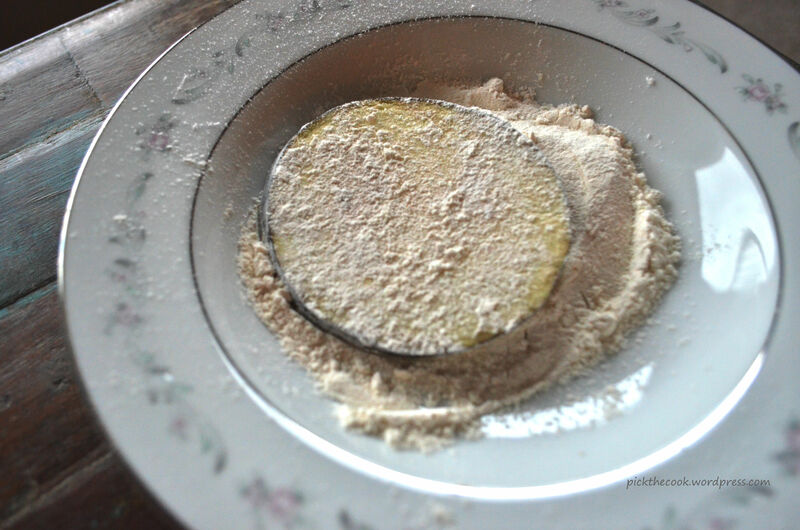 Mix the tomato paste with 2 tbs olive oil and salt and pepper. 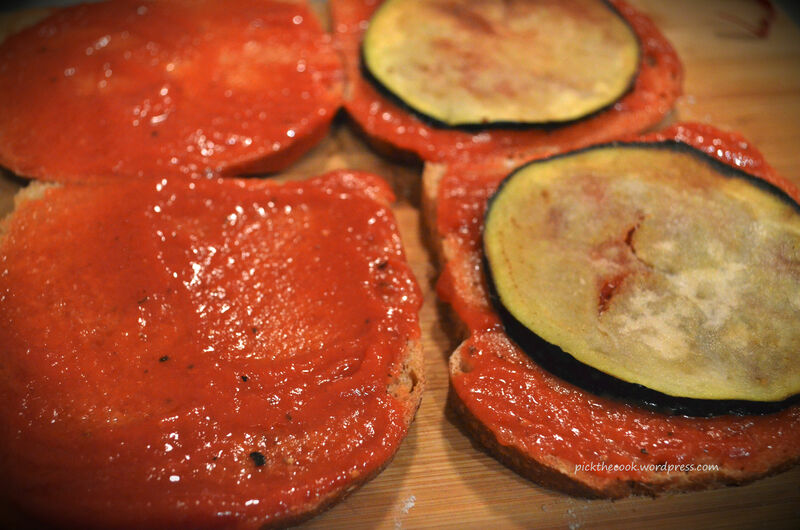 Spread the tomato sauce over the bread slices and place one or two fried eggplants over them. 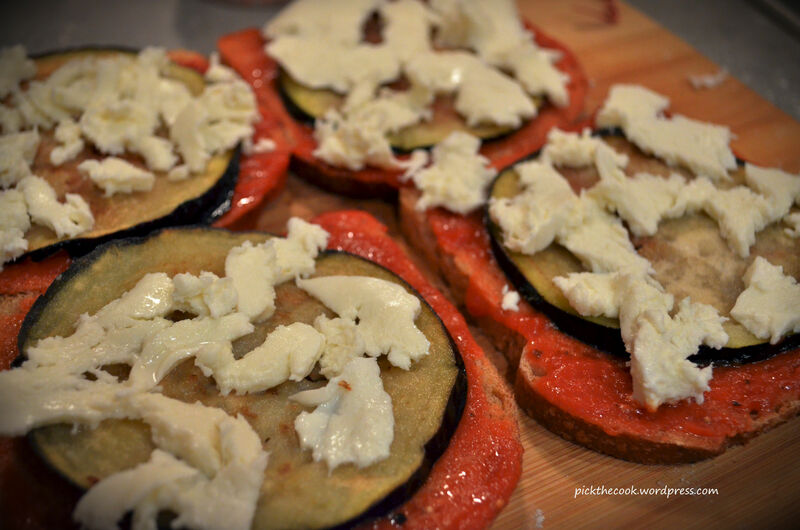 Cover the eggplant with mozzarella. Add parmesan flakes and pepper it again. 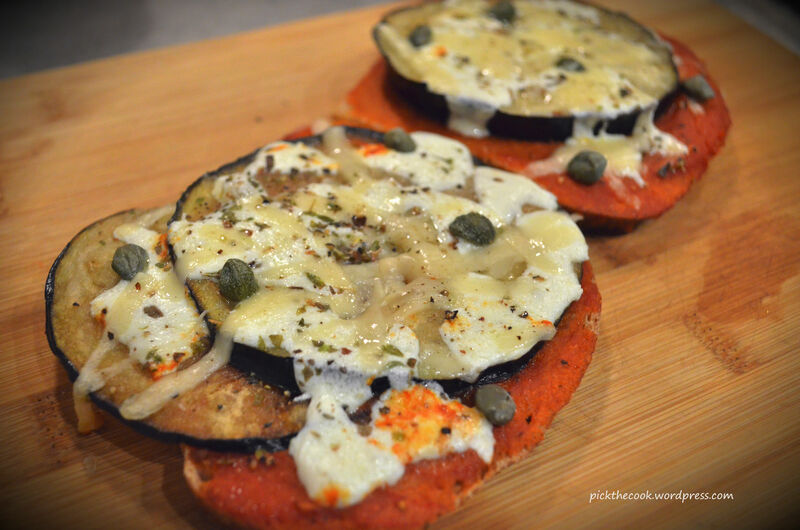 Lastly put 3 – 4 capers on each bruschetta and bake it in the oven for 10 minutes at 350F. 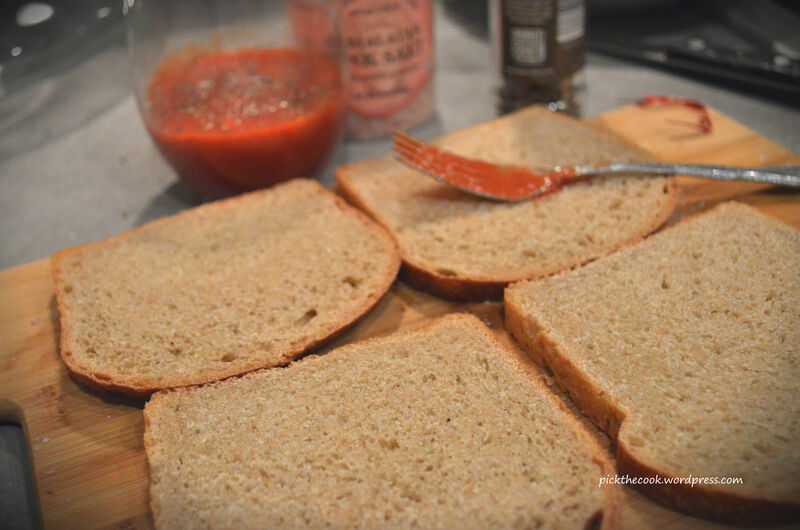 I cut the slice of bread in 4 smaller pieces to make it easier to eat (and look more like an appetizer). Can be served warm or cold (I preffer them warm).